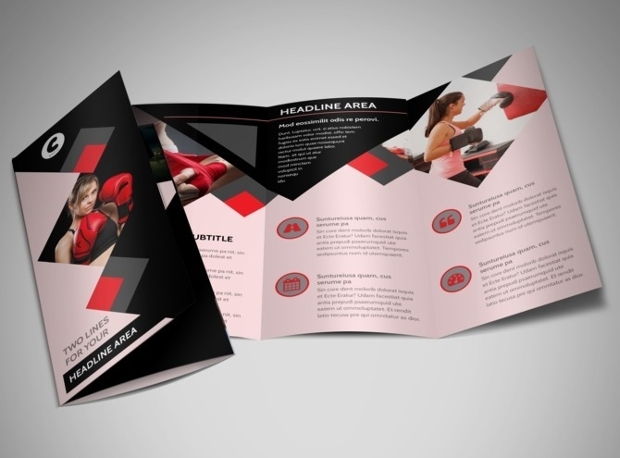 Brochures are useful business tools because they are used to attract customers. 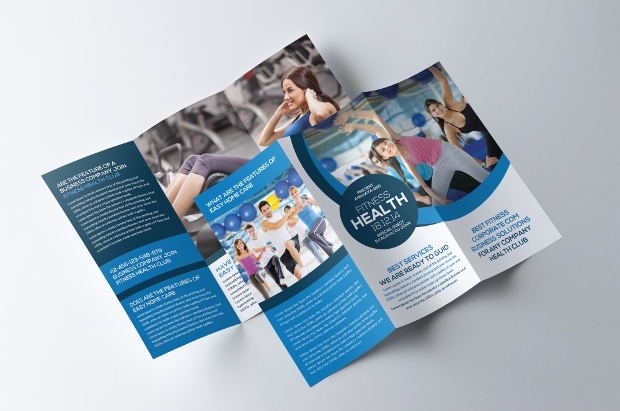 For a fitness center, gym or a spa center, having an effectively designed gym brochure or spa brochure designs is one of the most important parts of advertising and promotion activities. 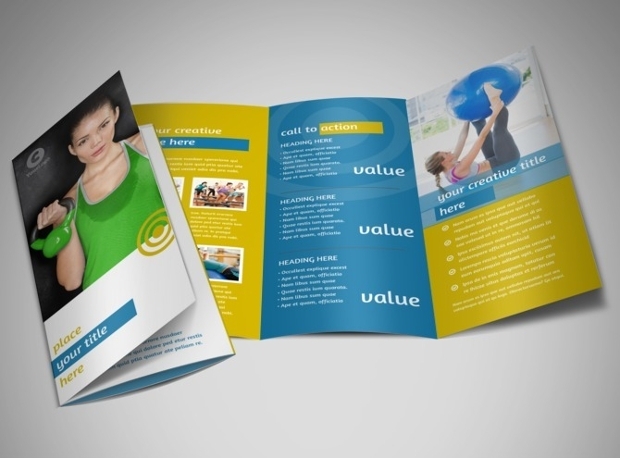 A brochure is usually a single piece of paper in two-fold or tri-fold format. The pages included usually are; front/home, services, registration, fees and charges, available equipment, special promos and the about the company and contact page. 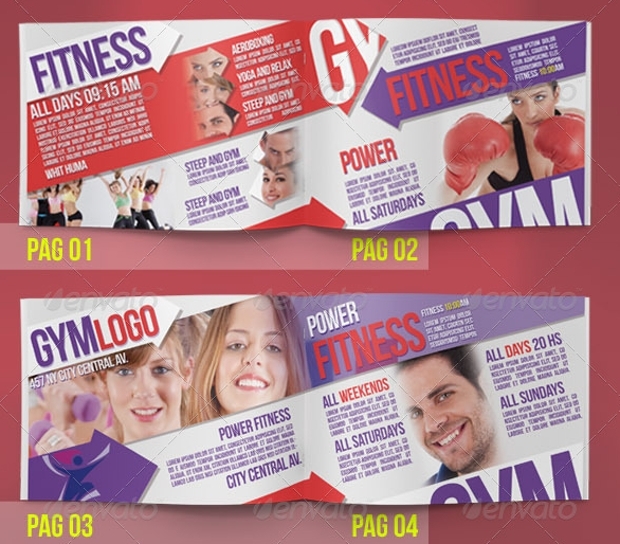 If you are looking for gym, spa or salon brochure, the following are great examples. 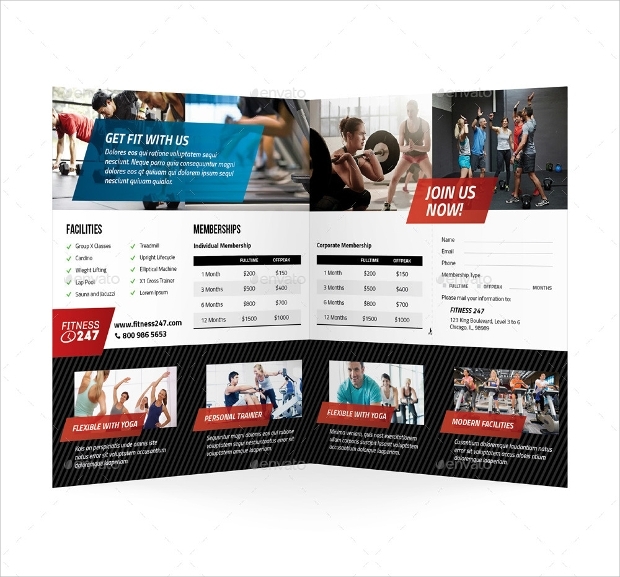 This bifold gym brochure template is easy to customize and edit, which means that all you need to do is to put your company/gym name, images, and other important information. 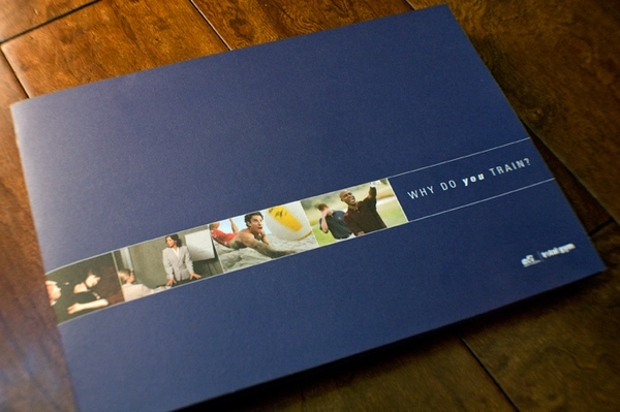 The paper size is 8.5 x 11 inches, which allows for a brochure that is not too big and not to small. 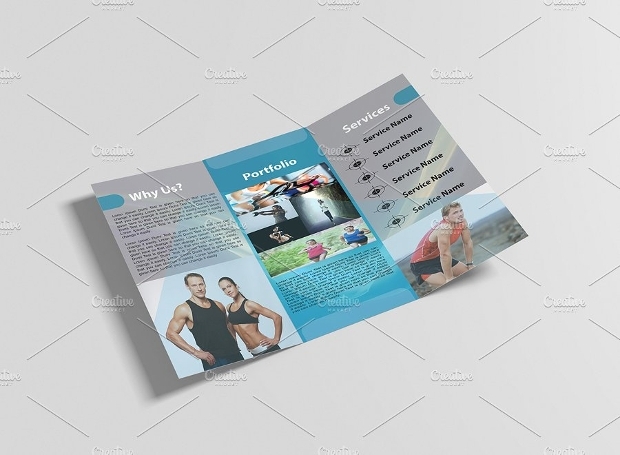 This square brochure template in trifold format is ideal to use because it has a very enticing design. The front page has a big space for the company image or logo. The inner page, on the other hand can be filled with all the important details regarding the company and the services it offers. 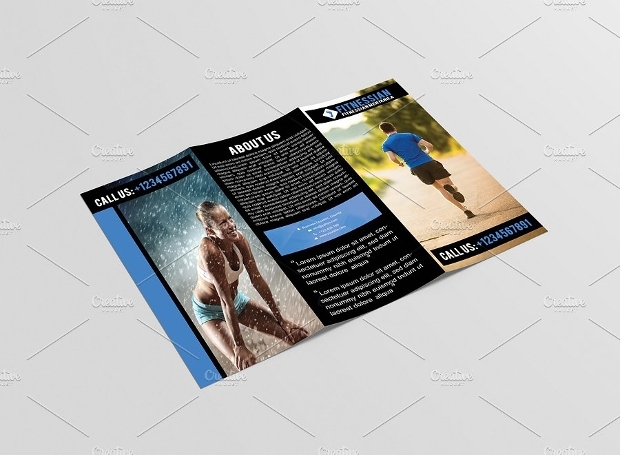 This fitness center brochure template is designed to create trifold brochures. It is print-ready (all you need to do is to put in your company name, details and your preferred images) on size A4 paper. It is well-designed and of high quality. 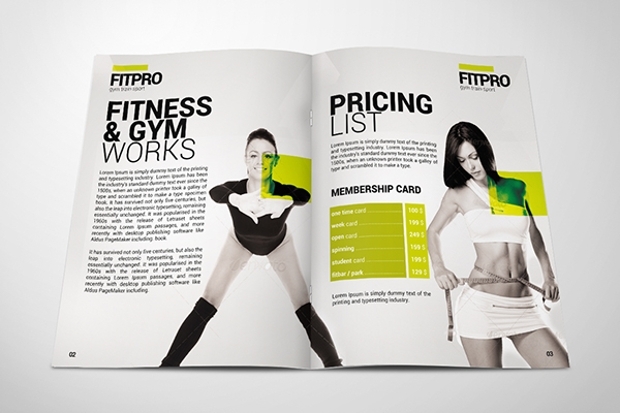 If you want a colorful and flashy fitness gym brochure, you should consider this template. The design is playful and attractive, which would make your company easy to recognize and remember. It is important to have different options when you are choosing your template designs. 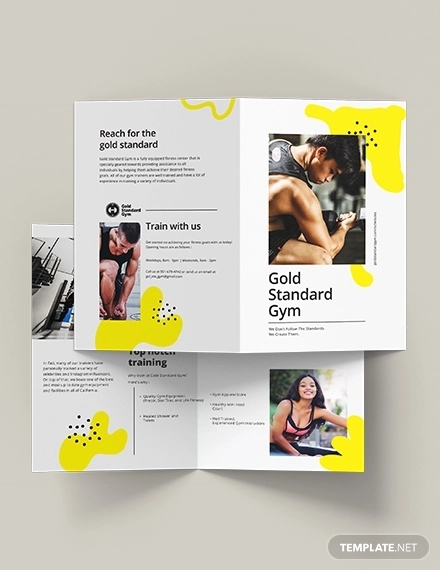 This physical fitness brochures template offer 4-color versions, which means that you can opt for the best color scheme that would best represent your business. 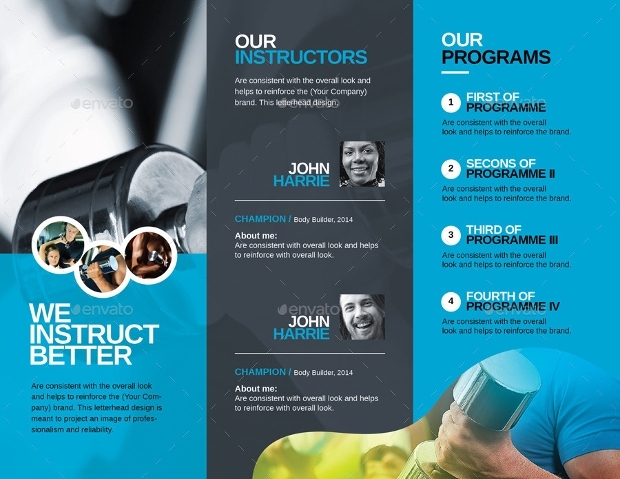 The option to change images is one of the best things about this gym brochure template. This is made possible by the Smart Object Layer. The template is also editable through Text Layers. 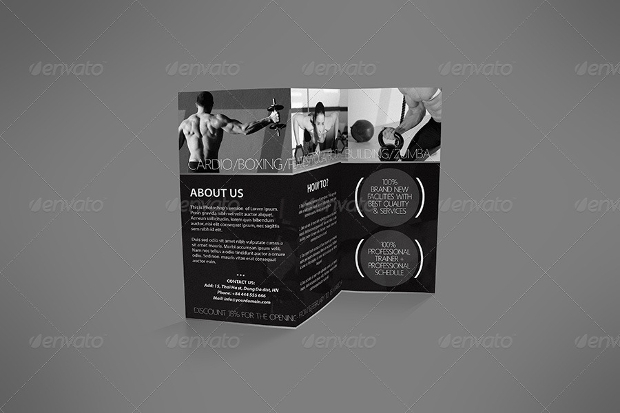 This gym brochure template comes with a 2 full layer PSD files and prints on A4 size designed for a trifold format. The paper is double-sided design to make use of all the available paper space. 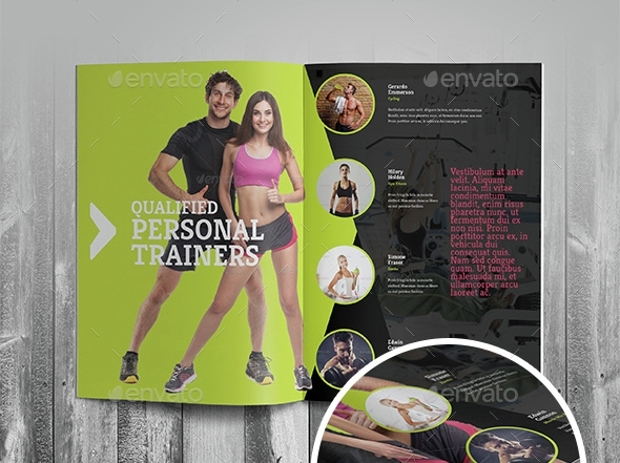 This Photoshop PSD Gym Brochure template has a simple design. The image shown is not included in the package, but it is customizable and editable. 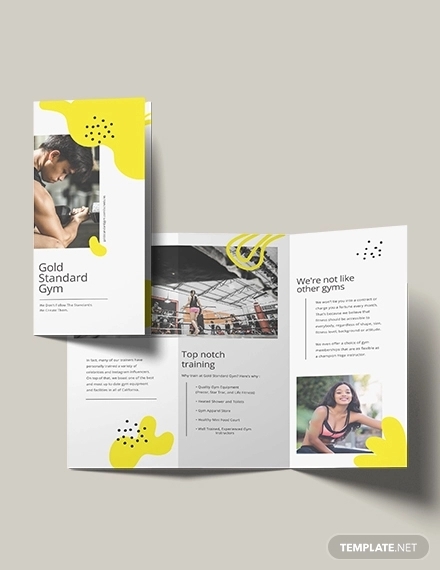 This full layered gym brochure template allows you to change the images with your own preferred images through the Smart Object. 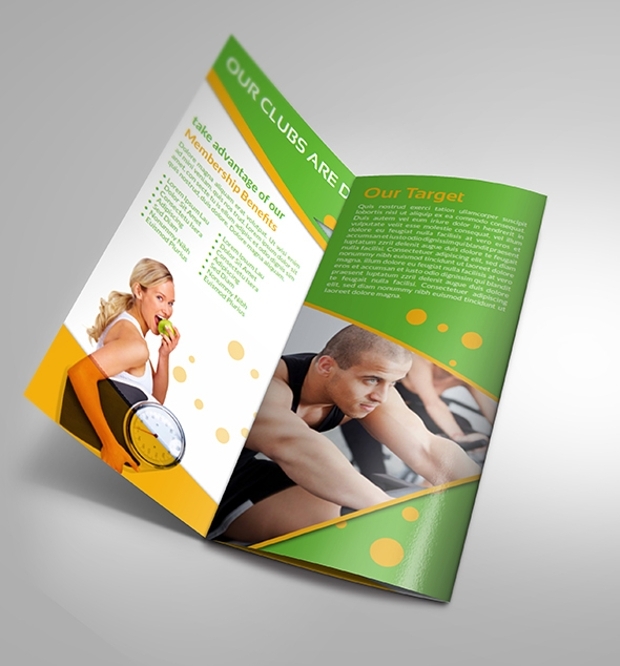 This means that this is an easy to edit and customize gym brochure template. 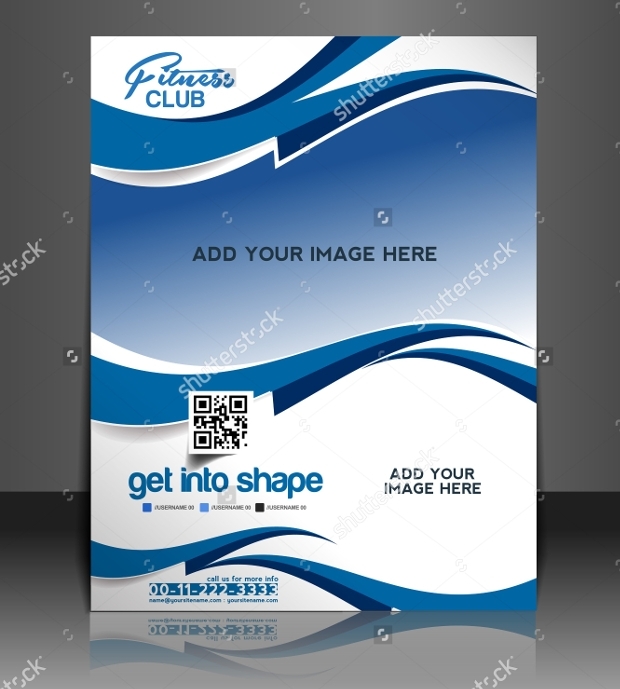 If you want to give your gym or fitness center a boost and refreshed image, then this gym brochure template pack is the one for you. It is a well-organized template with easy customization in mind when it was designed. This pack comes in Illustrator and Photoshop formats. 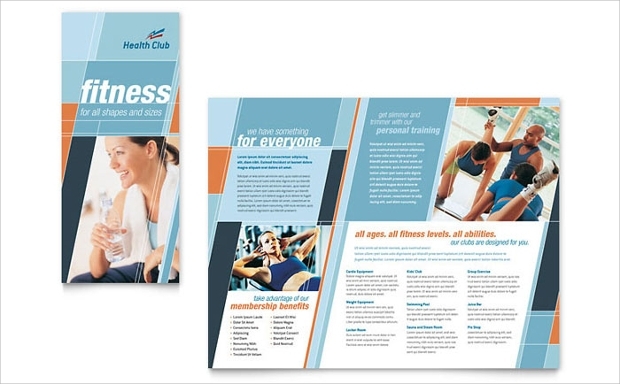 If you are trying to find a brochure template that you can use for your gym or fitness center business, the first thing that you have to keep in mind is that you need to decide whether you want a bi-fold or a tri-fold brochure. Between the two, the tri-fold would hold more information, but the bi-fold would allow for bigger images.